The long run is the most important training run no matter what distance event you’re training for. But if you don’t recover from it properly, you’re not getting the full benefit of your hard work. 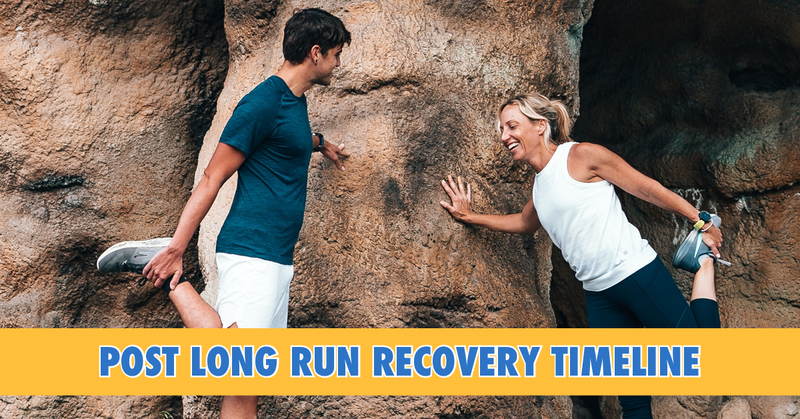 Proper recovery from the long run is a multi-step process that takes place over several days — but you can set yourself up for your best recovery by taking the proper steps in the first 24 hours after the run. 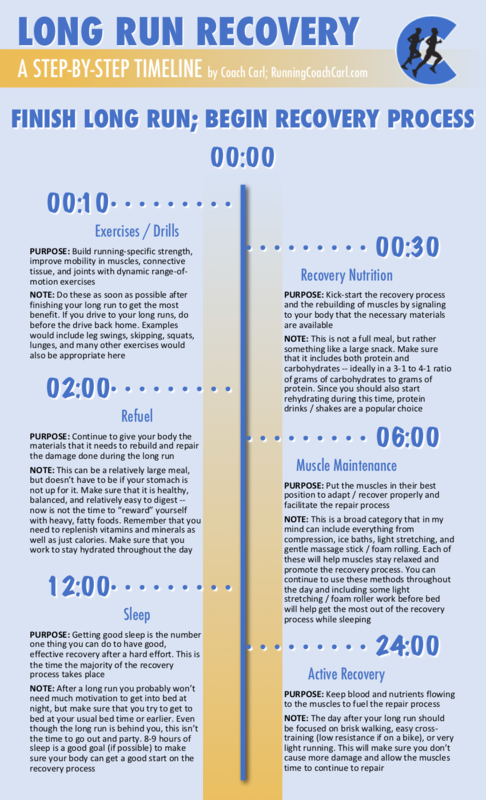 In the chart below, I outline the steps that I think are the most important to take after each of your long runs, and the timing of when they should happen. The times listed are a rough guide of when to do each of the activities. Things like refueling and muscle maintenance will continue to happen throughout the day. Remember that drills / exercises and recovery nutrition will be most effective the sooner you do them after your run.